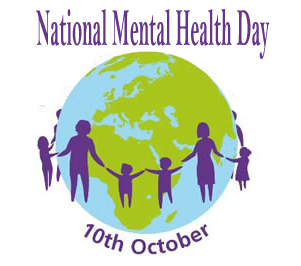 Agra, Oct 7 : Union Health Minister Dr Harsh Vardhan on Tuesday announced the government's decision to frame the country's first ever official national policy on mental health and stated that henceforth, October 10 will be designated as National Mental Health Day. "It will be a day for raising people's awareness on mental illnesses and removing the false perceptions attached to them. We want a nation that upholds the human rights of mental patients. Also, it will be an occasion to generate awareness against stigmatisation of people with mental illnesses and highlight the symptoms and remedial opportunities for those with depression, schizophrenia, bipolar syndrome and so on," said Harsh Vardhan. After visiting the Institute of Mental Health and Hospital here, Harsh Vardhan said, "The Universal Health Assurance Mission (UHAM), which is under development will not ignore mental illnesses. The new National Health Policy, which will come about in consultation with the states, will also have a focus on mental health. Universal Health Insurance, which will be a component of UHAM, will also cover those who need treatment for common problems." Harsh Vardhan also lamented the stigma that society places on those who seek psychiatric help. "Society still stigmatises those who suffer from routine psychiatric problems and so their treatment is either delayed or denied. We need to build up a social movement to change mindsets and focus on the human dimension of mental illnesses," he said.